Please mail your donation to the address below in order to donate to Brody's BUDDY™ Ride today! Brody’s BUDDY™ Ride is the primary way we raise funds for The Brody Savicki Foundation. 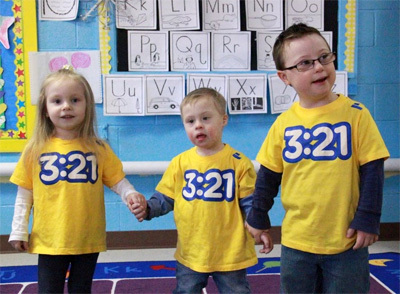 We remain committed to raising awareness for Down syndrome, and educating the public on the UP side of DOWNS. Brody’s BUDDY™ Ride is very proud to spread our message that that “More is Better”. Through Brody’s BUDDY™ Ride, we have been able to help make a positive impact on the lives of people in our community who have Down syndrome. $500 donation to The 21 Club of CNY, Inc.
Our work in only possible because of generous donations from members of the community. Without donations from supporters such as yourself, the people and organizations who have benefited from Brody’s BUDDY™ Ride over the past 6 years would have been left to face their challenges with Down syndrome all alone.